Once upon a time, there was a little bird in a wicker cage. In sad tones he sings: "In vain I stretch my wings; round and round this cage I fly. Oh freedom, how sweet are you! I would give anything thing for you." He sang so sweet. Would you give me those pretty wings?" The cage was near the window. The bird looked, the sky was blue, the air was sweet. With eagerness he replied: "O, yes! Not only my wings. I would also give you these seeds and apples, sugar, too. I will give you all, pretty mouse, if you will only set me free." The mouse soon gnawed a hole. The bird, in great joy, forgot his word. As fast as an arrow, see, he flies far and high up towards the skies. But see, he stopped. Now he comes down towards the cage. He said: "Kind mouse, look at me now. I returned to keep my foolish vow. I only wished-for freedom then, never thought I want my wings again. Better to part with life itself than to live with an unfaithful heart. Do with me, therefore, as you will. An honest bird I will be still." Then, he lolled his wings and hung his head. The mouse, though very pert and smart, had yet a very tender heart. She said: "I don't care much about your wings,— apples and cakes are better things. You love the clouds, I choose the house. Wings would look funny on a mouse. My nice long tail is far better. So keep your wings just where they are." She munched some apple, gave a smack, and ran into her little crack. The bird spread out his wings and flew, and disappeared in the sky's deep blue. Far up his joyful song he streamed, and sang of freedom as he soared. 1. If you were the bird, would you come back to the mouse after being set free? 2. Why do you think the bird came back? 3. Why is it important to keep your word? 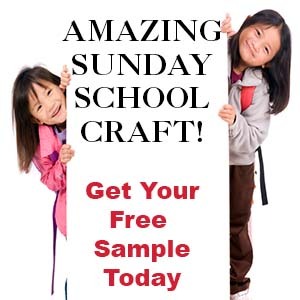 If you would like to try this craft Click Here.